Desa Impian a 4-storey low density apartment located at Lebuhraya Babington in Georgetown, Penang. 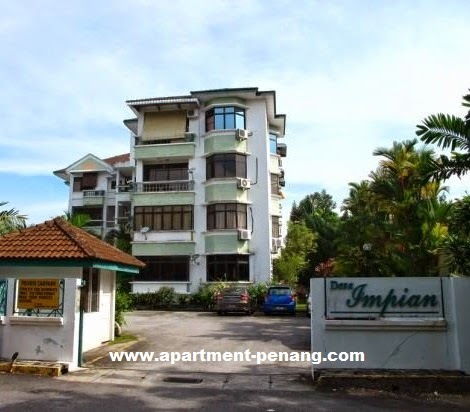 It is situated nearby the Penang General Hospital with easy access to town, Ayer Itam and Greenlane. The apartment units in Desa Impian has a built-up area approximately 900 sq.ft. and 970 sq.ft. with 3-bedrooms and 2-bathrooms. Built-up Area : 900 sq.ft. - 970 sq.ft.